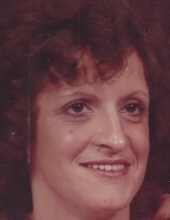 ROCKVILLE-LaDonna “Sue” Earl, 68, of Rockville, Indiana passed away at 8:52 pm Tuesday, January 29, 2019 at Gibson Family Center for Hospice Care in Terre Haute. She was born October 6, 1950 in Cayuga, Indiana to the late George Arthur Uplinger and Dorothy Fern Lawhorn Uplinger. She was preceded in death by her parents, her loving husband, Jeffrey Allen Earl; one brother, Larry Uplinger; two sisters, Lillian Uplinger and Nelly Jean Uplinger. Survivors include three children, Jeffrey (Mary) Earl of Rockville, John Earl of Lafayette and Elizabeth (Diane) Hughett of Greencastle; six grandchildren , Jeffrey (J.J.) Earl, Jr., Brook Earl, Justin Earl, Laney Earl, Jacob Earl, Tatum Earl; three great-grandchildren; two sisters, Mary Sanders and Margaret Sanders; two brothers, John Uplinger and Arthur Uplinger; several nieces and nephews. She worked more than 40 years in Health care industry, working in nursing homes, group homes and in-home patient care. The past 10 years Sue worked for Comfort Keepers Caregivers and the past three years performing janitorial services at Dale Warnick Chevrolet. A visitation will be held from 4-8 pm Friday, February 1, at Gooch Funeral Home, 112 W. Howard Street, Rockville. To send flowers or a remembrance gift to the family of LaDonna Sue Earl, please visit our Tribute Store. "Email Address" would like to share the life celebration of LaDonna Sue Earl. Click on the "link" to go to share a favorite memory or leave a condolence message for the family.